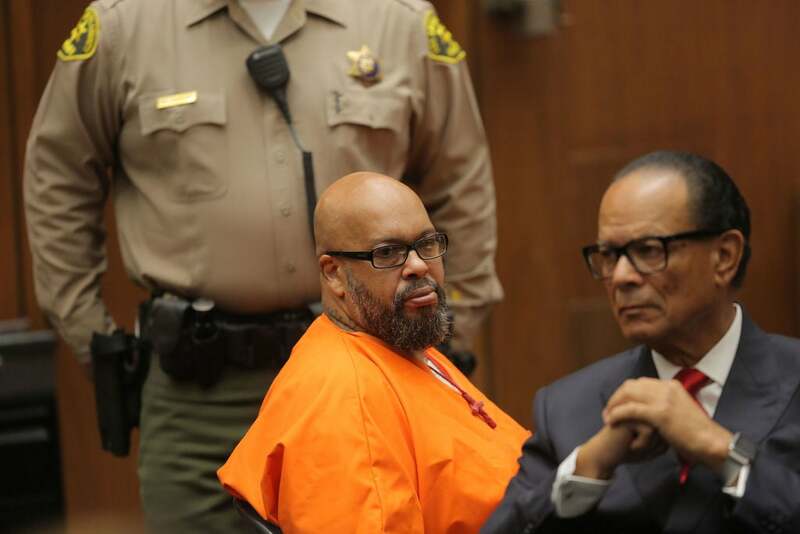 After pleadign no contest to manslaughter, former Death Row co-founder Suge Knight will spend the next three decades in prison. After pleading no contest to a 2015 hit-and-run case that left a man dead and another seriously injured, Death Row records co-founder Marion “Suge” Knight was sentenced to 28 years in prison. Faced with the possibility of spending the rest of his life behind bars if convicted of killing Terry Carter, Knight decided to accept punishment for the incident without admitting any wrongdoing. Though Knight initially claimed he was acting in self-defense when he struck Carter while visiting the set of Straight Outta Compton, a hit film about N.W.A., video evidence contradicted his claims. According to police, Knight was sitting in his truck when he was approached by a group of men, which included Carter, Cle Sloan, and another man. Surveillance footage showed Knight talking with the group before quickly backing up and knocking Sloan to the ground. He was then seen moving forward toward the men, running over Sloan again while he lay on the ground and fatally striking Carter. During Knight’s sentencing hearing, Carter’s family members admonished the former music mogul for his reckless behavior. “He never got out of the car, to see if my uncle was okay. This has to be in my family forever. Nothing will be the same. Not even an apology, condolences have been made to my family,” Carter’s niece said in court. According to CNN, the maximum sentence for voluntary manslaughter in California is 11 years. However, due to Knight’s prior convictions, his penalty was doubled. An additional five years was also tacked on to his prison sentence because his crime is considered a “serious and violent felony,” and another year was added on to his prison sentence because his truck was considered a deadly weapon.